We usually think that writing a blog post is the only way to connect to our audience. Blog posts are amazing, without an iota of doubt, and they can generate a great amount of positive ranking if the content oozes quality. However, you always need to do something different so as to break the monotony of your blog. That is where podcasts come in the picture. A podcast is one such thing that is easy and needs to be considered. Some people like to hear voice notes rather than read a 2000-word article. It also helps you build an emotional connect with your audience. A podcast is a digital audio file which can be downloaded on your computer or your mobile phone. The thing that makes podcasts worthwhile is that it is an incredible tool in terms of building your blog as a brand and gaining the trust of your listeners. It also adds a personal touch and creates an instant connection with your followers. When you write a blog post, you manage to keep your readers glued to your blog for a few minutes. However, they are likely to stick around to a podcast and listen to your opinion for much longer. It is one communication method that helps you to stay connected with your readers on a more personal note. But the question is how do you create a podcast, and how does it help? 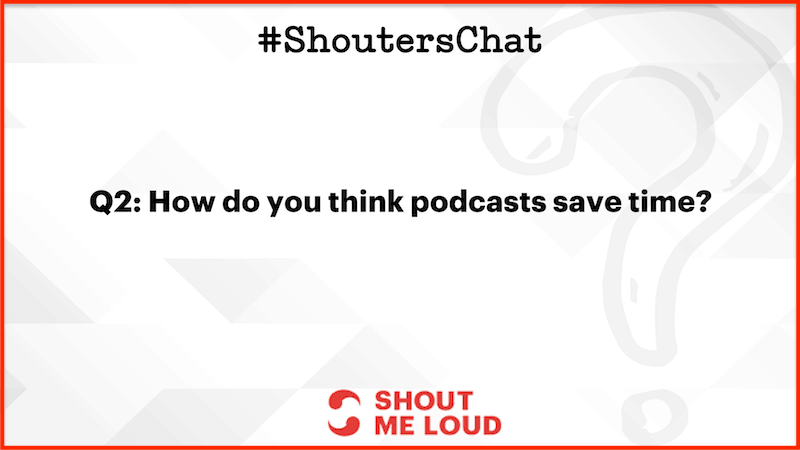 In this week’s #ShoutersChat, we discussed everything from how a podcast can help you save time to what is the appropriate time duration for a podcast. We also discussed if you would like to start a podcast this year. And also whether you heard ShoutMeLoud’s new podcast! Q1. Do you listen to podcasts? A.1 Yes, I do. I like to listen podcasts more that reading blog posts. Q2. How do you think podcasts save time? Q3. Are you planning to launch a podcast this year? A3. Not too soon. I believe podcast comes to number #3. Q4. How long a podcast do you usually listen to? 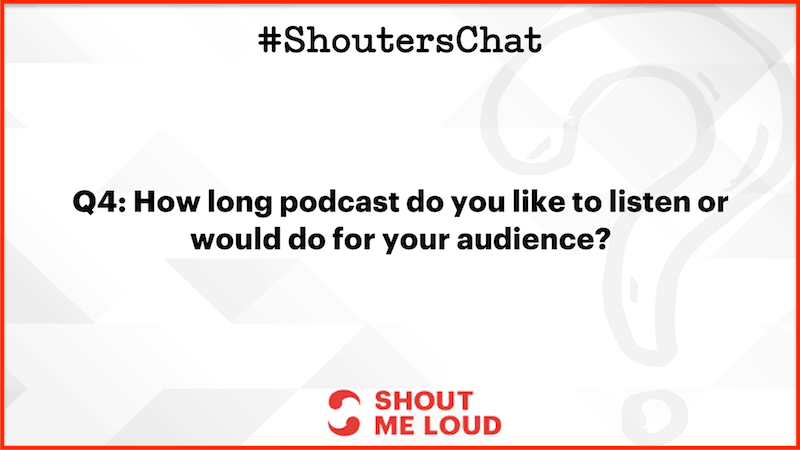 What is the time duration of a podcast that you would do for your audience? Q5. Have you heard the new ShoutMeLoud podcast? A5. 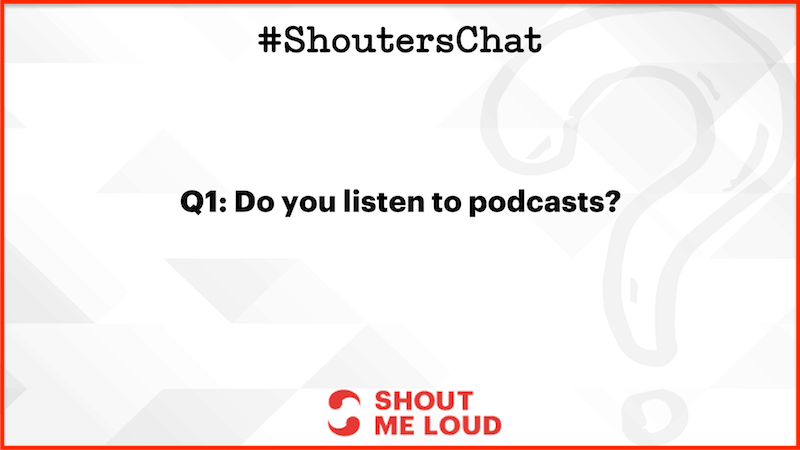 Listened just now alongwith #shouterschat Look I saved my time 🙂 This is what I like about podcasting, you can hear it while doing other tasks. 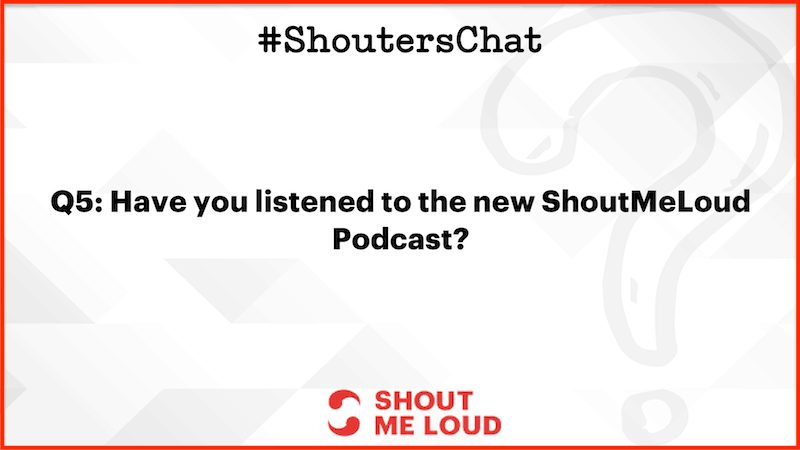 We’ve started a new podcast show called, “Shouter’s Friday With Harsh Agrawal”. In this new podcast, we pick top questions from the ShoutMeloud Bloggers’ Forum and answer them in detail. That is it for this week. 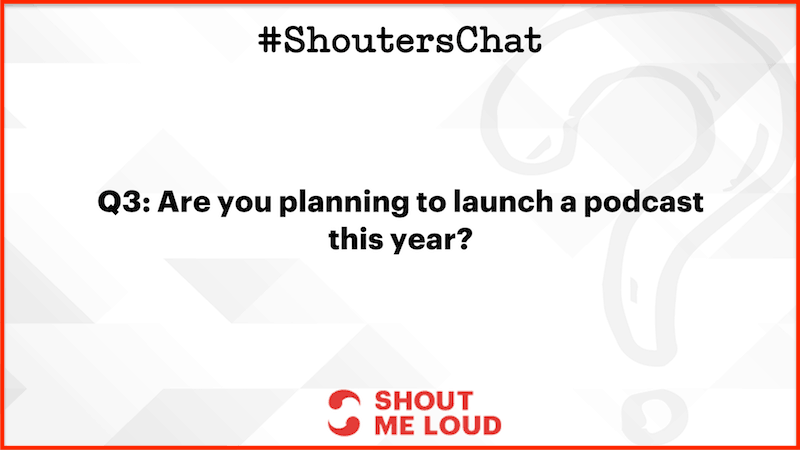 We’d love to see you in the next session of #ShoutersChat which takes place every Saturday at 7 PM IST. Please take a moment to answer the questions on Twitter in the comment section below. We’d love to hear your thoughts!